This is a joint media release between the AFP and Australian Border Force. On Friday 26 October 2018, two 21-year-old Japanese nationals were selected for a baggage examination after arriving at Melbourne International Airport on a flight from Bangkok. 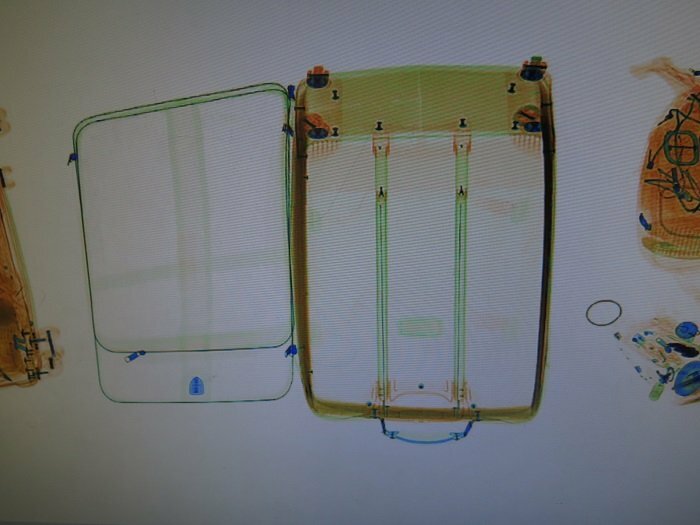 During the examination, Australian Border Force (ABF) officers noted inconsistencies in the X-ray images of their luggage. 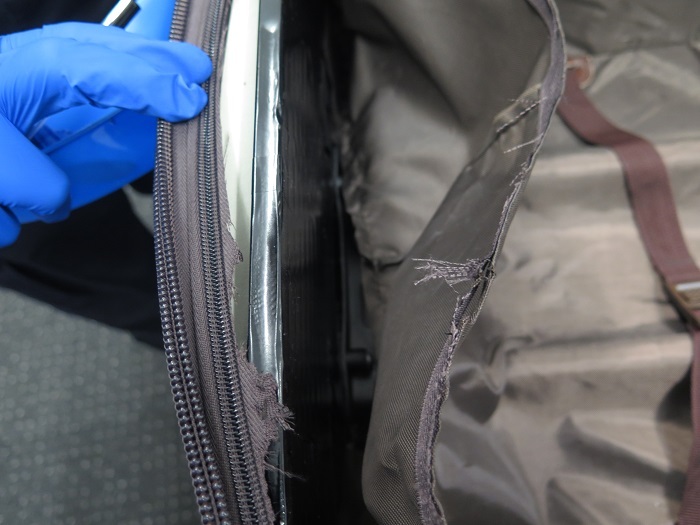 Holes were drilled into the suitcases, which revealed a white crystalline substance. Testing of this substance returned a presumptive positive result for methamphetamine (ice). Australian Federal Police (AFP) officers charged the two men with importing a commercial quantity of border controlled drug, contrary to s 307.1 Criminal Code Act 1995. The maximum penalty for this offence is life imprisonment. Further testing of the drug consignments will determine the exact weight and purity. ABF Regional Commander Victoria Craig Palmer said this detection was another example of officers using their intuition and training to stop illicit drugs from harming Australian communities. 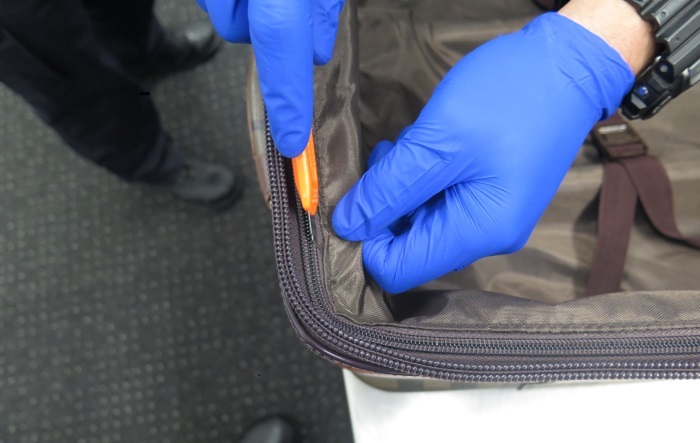 “This was a sophisticated concealment, and it shows no matter how the substance is hidden, our officers have the technology and expertise to find it,” Commander Palmer said. AFP spokesperson Manager Organised Crime, Commander Bruce Hill said, Australian authorities will continue to combat the movement of illicit drugs across borders to stop the havoc methamphetamine wreaks on the Australian community. “Our work in airports with our colleagues in the ABF should send a strong warning to criminals, if you participate in the attempted smuggling of drugs into Australia, regardless of the method, Australian authorities will detect, arrest and prosecute you,” Commander Hill said. The men will appear in court on 21 January 2019.